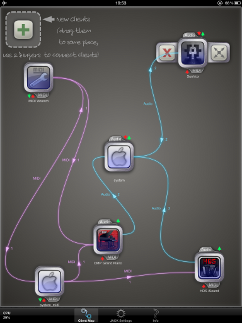 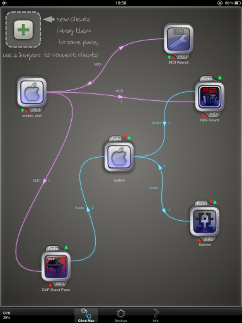 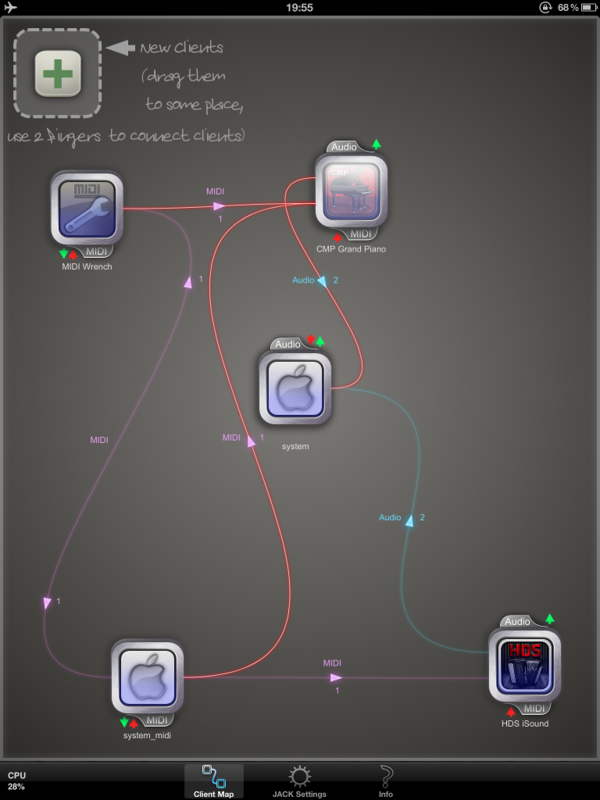 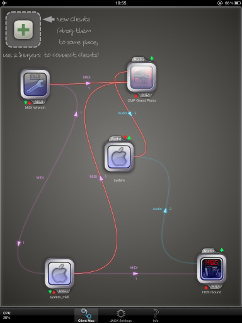 Audio connections between apps and external devices�.  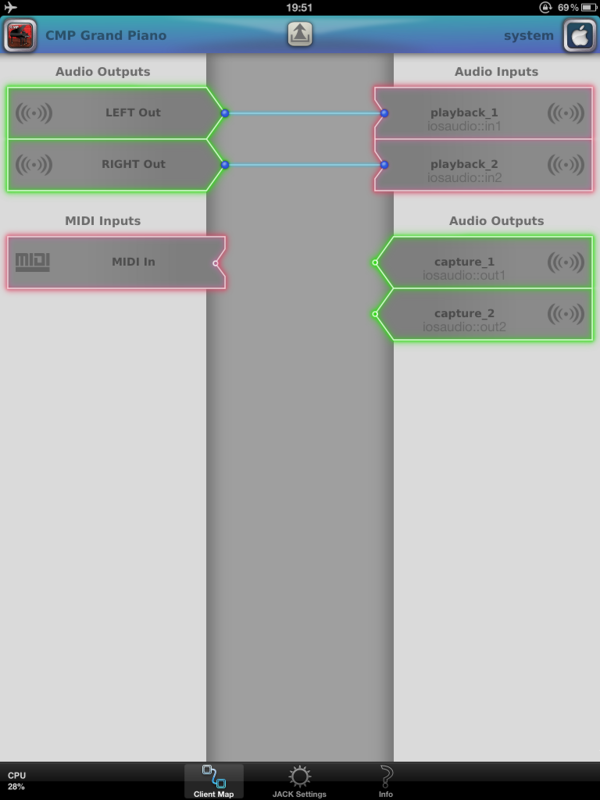 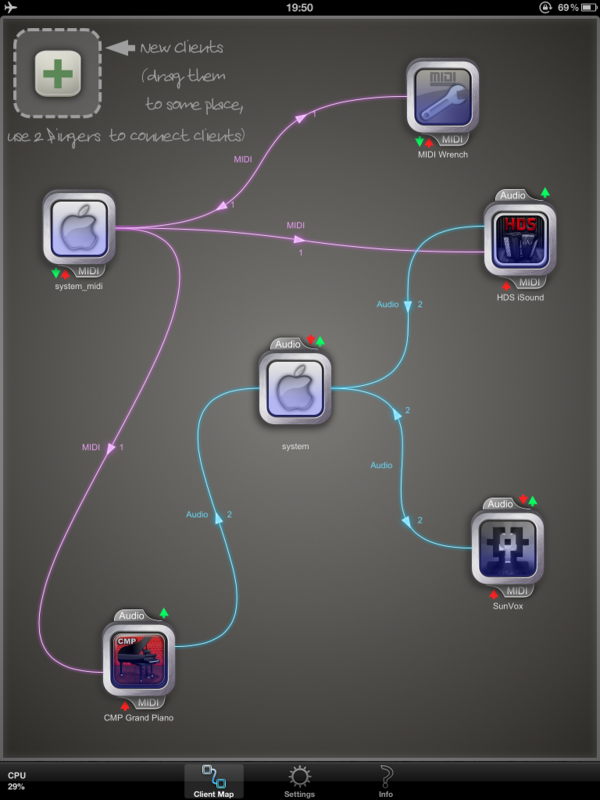 MIDI connections between apps and external devices�. 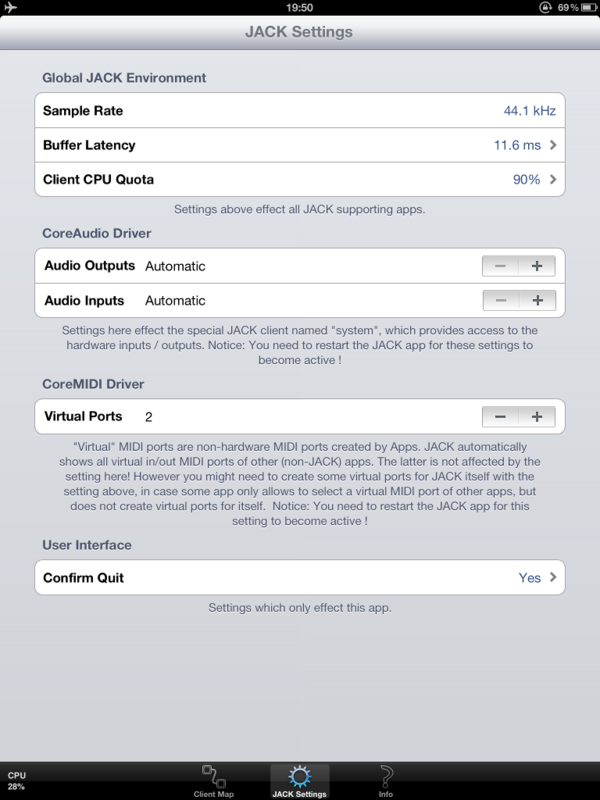 � If you want to use external audio and/or MIDI devices: The adapter and/or the external audio/MIDI device you connect must be supported by the iPad/iPhone operating system in order to be able to use it with this app. 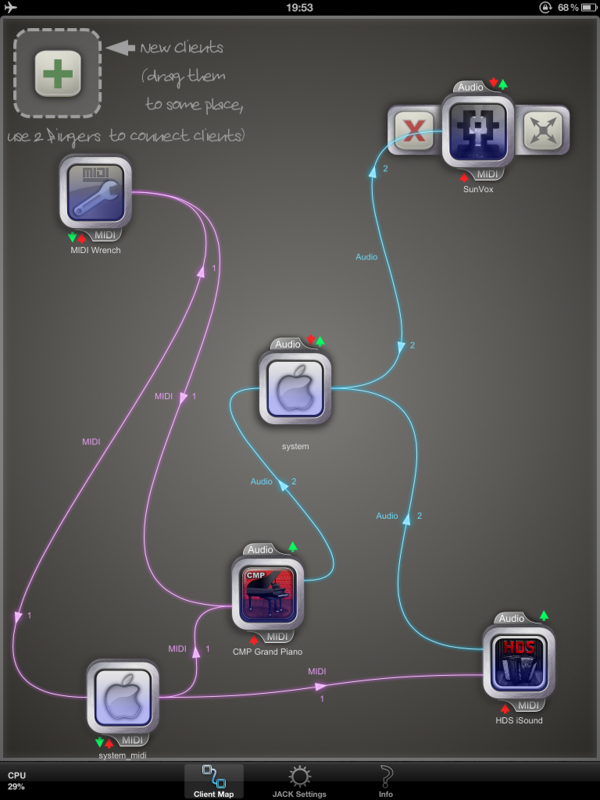 To our knowledge there is currently no official list of supported devices by Apple. 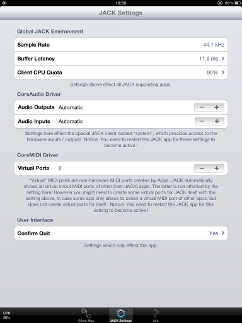 We recommend you to check whether your external device is supported by your iOS version, i.e. 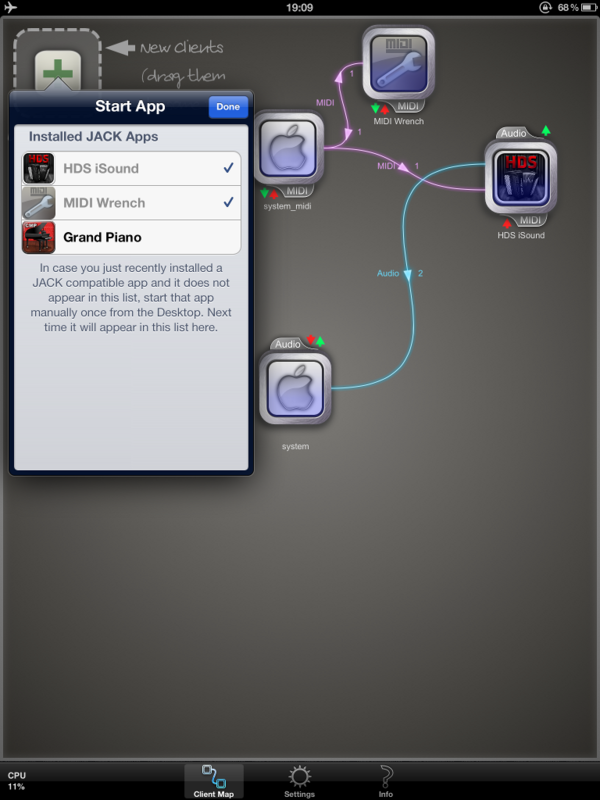 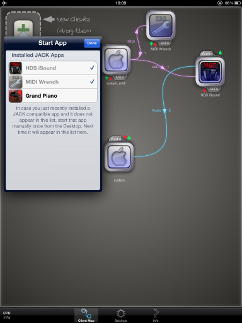 for MIDI devices: by using our MIDI monitor app MIDI Wrench, which is free!